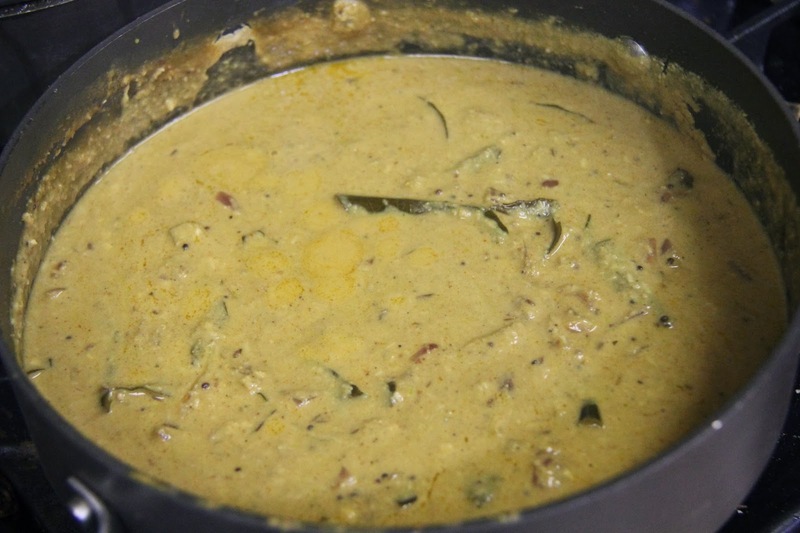 There is a song that goes…Taja Kooralalo Raja evarante,inka chepala vankayenandi..Meaning this dish is the king of all vegetable curries.Every wedding in Andhra serves this dish,the masala is simmered slowly for the flavors to develop and is a delicacy. 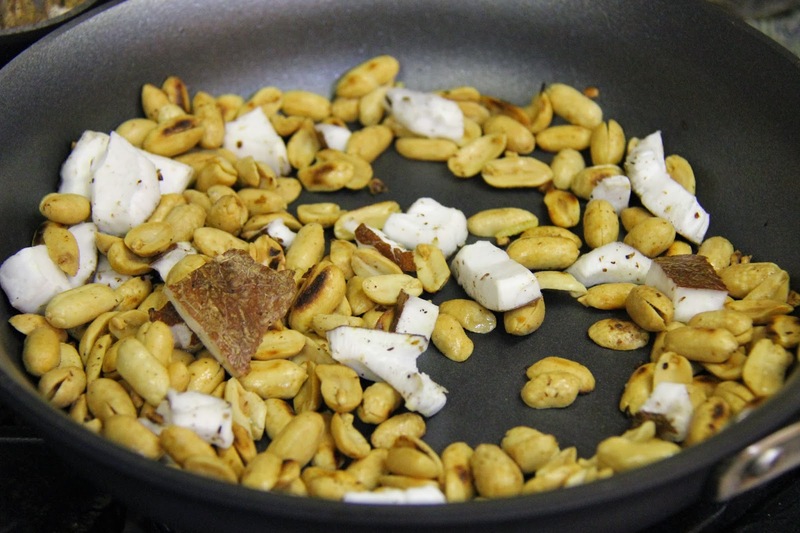 1.Roast the peanuts, sesame seeds, green chili and coconut in 1 teaspoon of oil and grind them into a smooth paste. 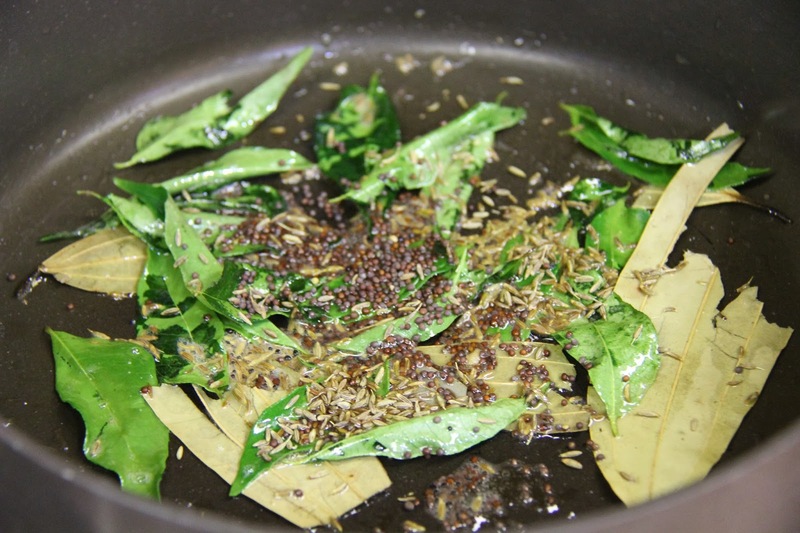 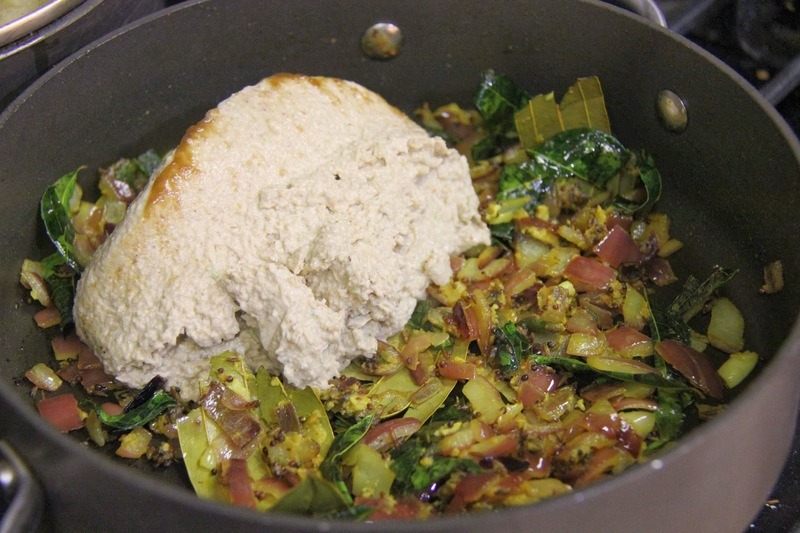 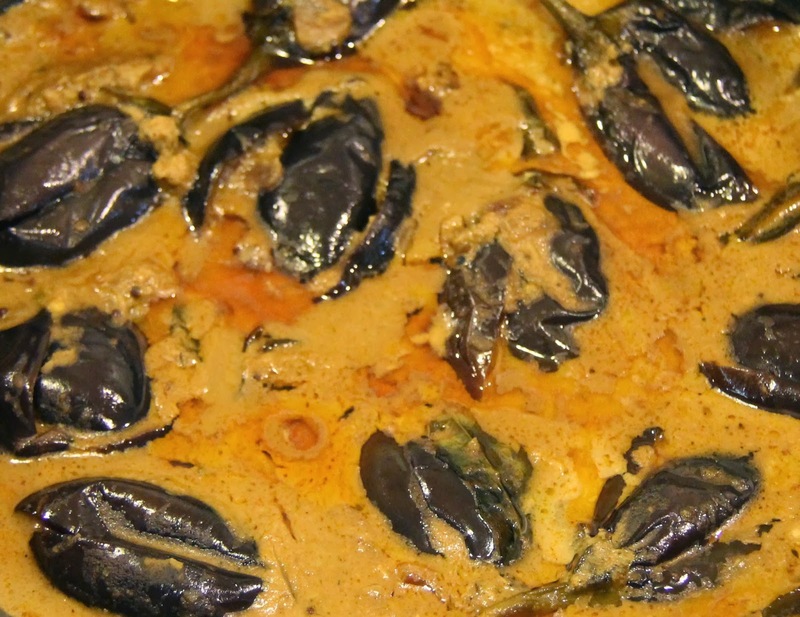 2.Heat the oil in a pan and add the mustard seeds, cumin seeds, bay leaf and curry leaves and let splutter. 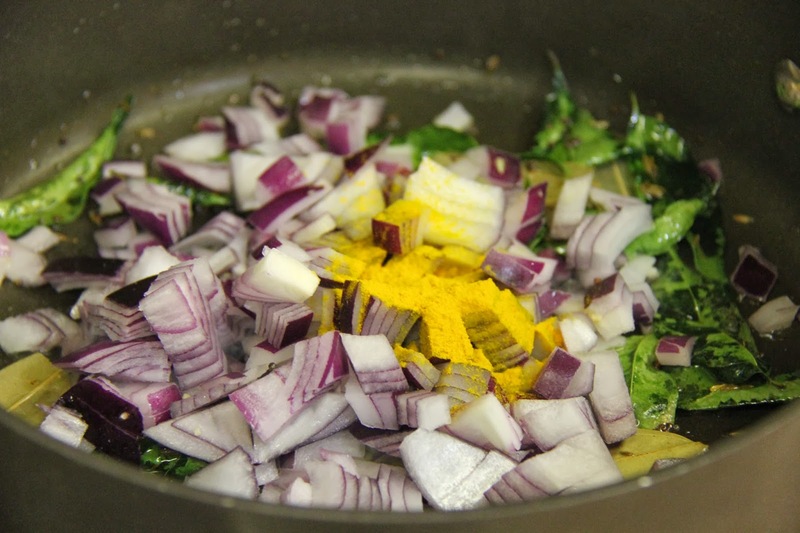 3.Add the onions, turmeric, salt and saute for 3-4 minutes. 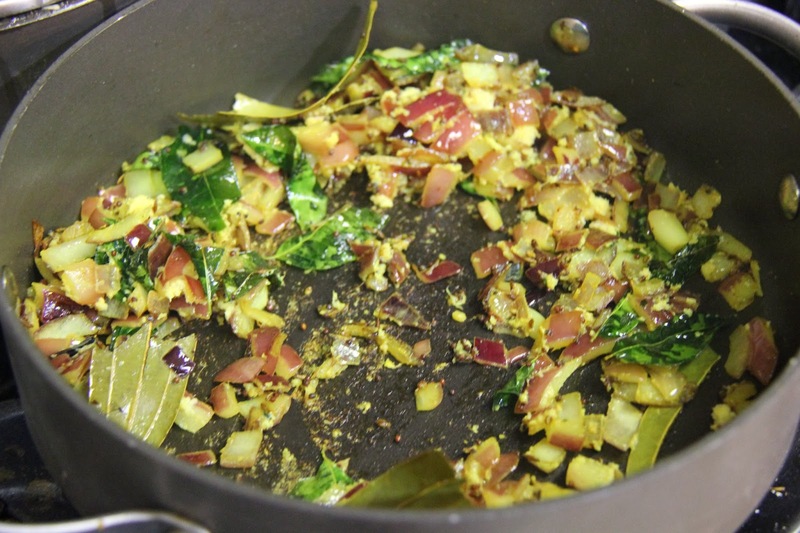 Add the ginger garlic paste and saute for 2 more minutes. 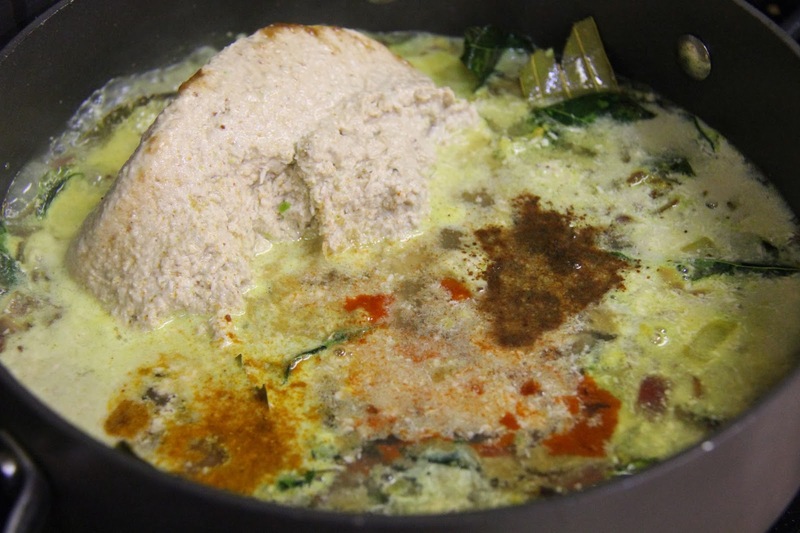 4.Add the ground paste,2 cups of water, tamarind paste ,cumin powder, coriander powder, garam masala, red chili powder, mix well, adjust salt and tamarind as per your taste and let simmer for about 15 minutes on a low flame until the oil floats to the top. 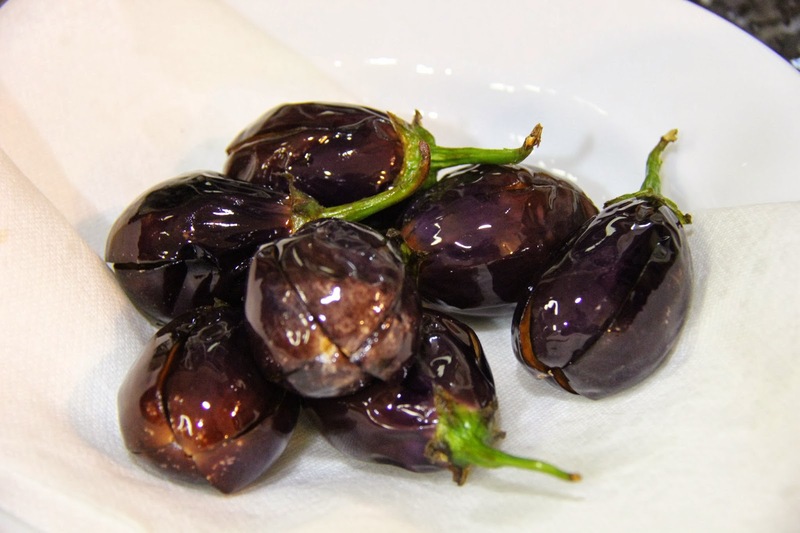 5.Heat oil for deep frying and make + shaped slits on them and fry them until the eggplants are salt,do not cook them completely, just enough so they are soft. 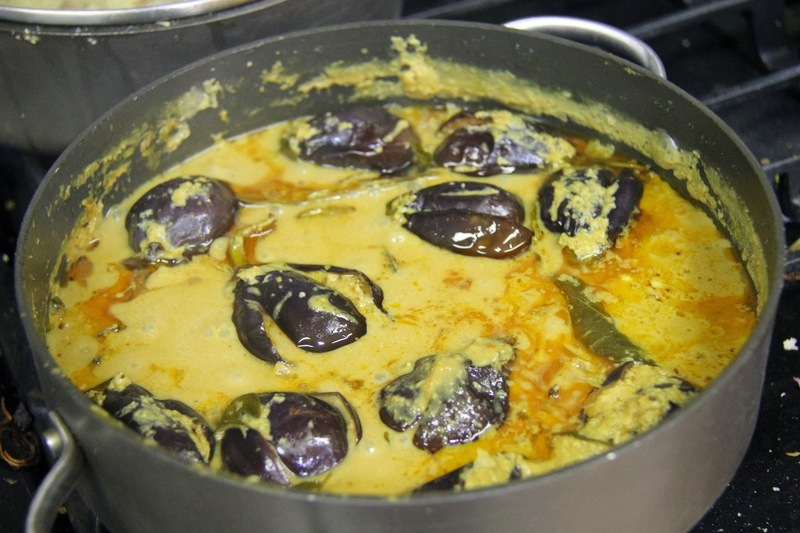 6.Add the eggplants to the gravy on the stove that has been simmering. 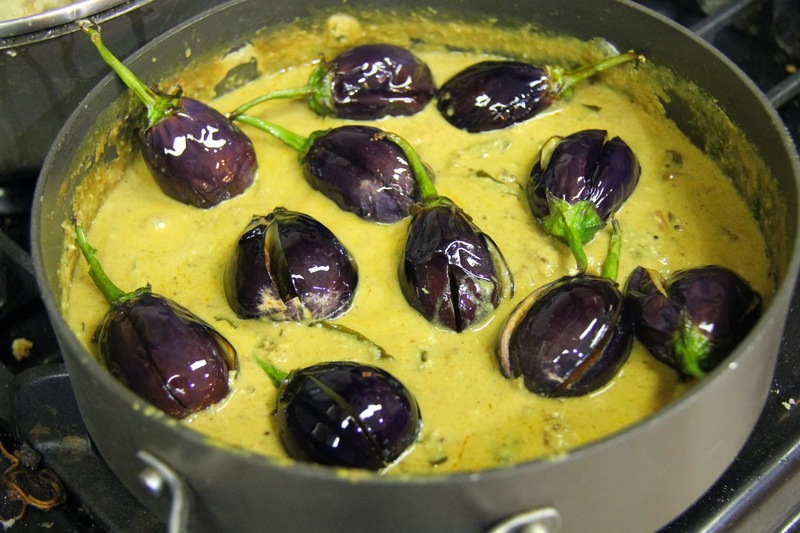 Bathe the eggplants with the sauce a couple of times, cover with lid and let simmer for 10 more minutes for the flavors to get in the eggplant. 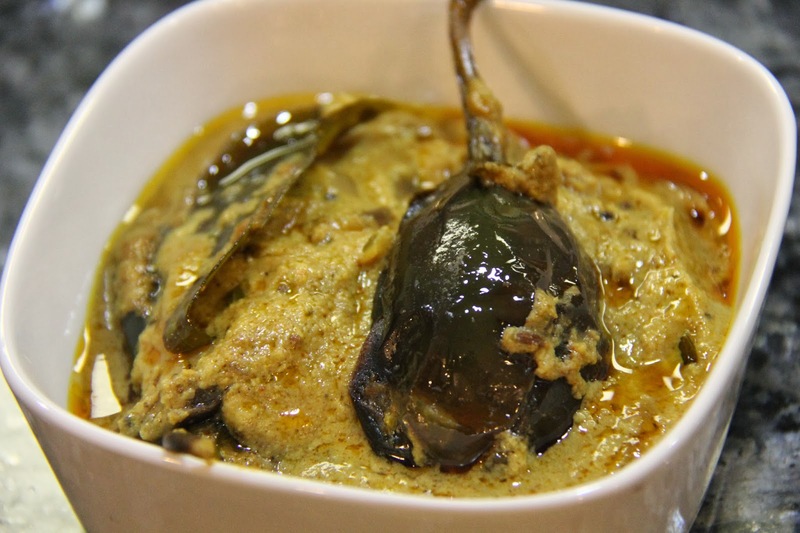 Do not cut the eggplant and leave it because it will turn bitter, immediately fry them. 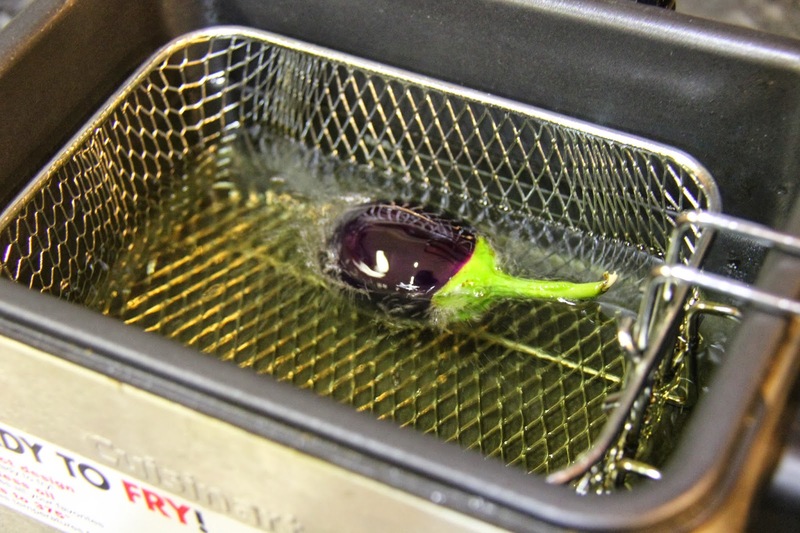 You can alternatively pan fry or steam or microwave your eggplants to avoid the deep frying. 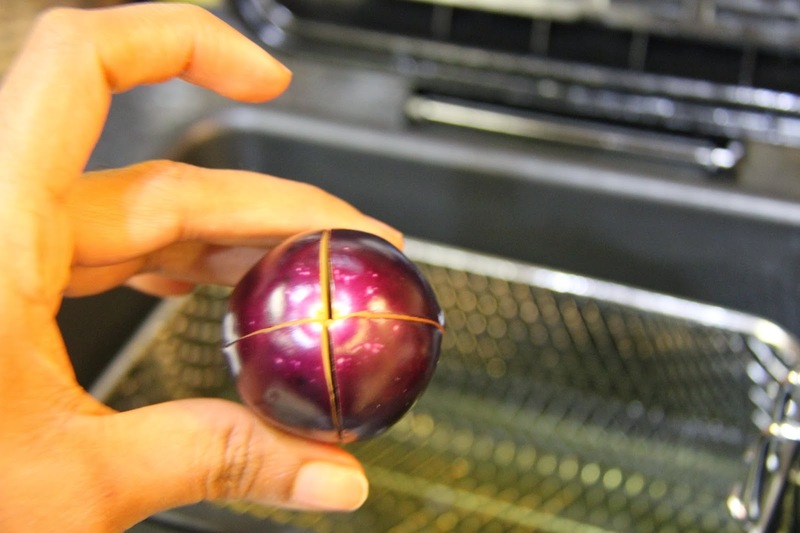 You can also steam the egg plants with a lil oil to avoid “deep fry” part of it.